The ADE Beats x Drum&BassArena conference is a fresh addition to our program hosted by the genre’s longest standing platform. Expect the full 170 BPM experience as we dig deep into the foundations with original scene titans such as DJ Hype, Aphrodite and Futurebound before exploring the genre’s global roots and great future. Fully loaded with interactive Q&A’s and a networking afterparty with Kove, Futurebound and A.M.C. If you’re into D&B, this is the place to be. 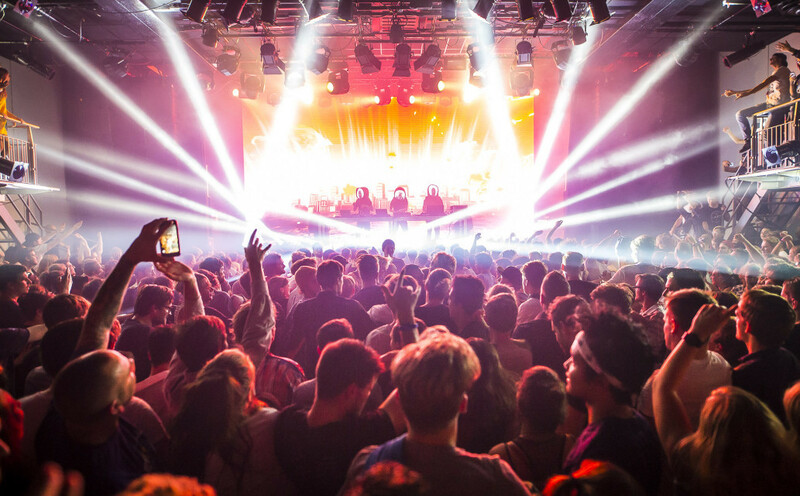 After recent announcements about the Companies to Watch Winner and the brands to be featured at ADE Sound Lab, we shift focus at more Conference news with presence of the Drum&BassArena at this year's ADE Beats. Every single person in dance music could benefit from paying attention to the drum & bass scene. Over a quarter-century, it's changed and mutated in hundred ways, reached the heights of popularity and the furthest reaches of experimentalism, slipped in and out of fashion, but it has always cohered and always endured. It's not always been easy: far from it. From the minute “drum & bass” started to be used for something slightly different from the UK's jungle sound circa 1994-5, there's been schisms, shifts, arguments over definitions and identity. We've had liquid, jump-up, jazzy, intelligent, techstep, drumstep, clownstep, neuro funk, autonomic and a dozen other sub-genres besides, many of them derided by the wider dance community. Yet through all that, the scene has somehow remained a scene. Each of the variants has been driven by furious passion, desire to keep things moving, and a work ethic that prompts people to go to extraordinary lengths to find the most sound system-testing tones and beats they can. And from these common values, and understanding of the shared roots in the UK rave and jungle explosion, have come an undeniable sense of community, even now. D&B now reaches around the planet, to the most far-flung outposts, and from the top of the pop charts to the most experimental fringes and most underground parties. And at the heart of all that – at the heart of the sound ad the community – is Drum&BassArena. Now 22 years deep, Drum&BassArena is the longest standing platform in the genre and continues to cement the bonds of that community. From streaming the first ever live D&B mix online in 1997 through huge gigs, albums and awards, D&BA have been a motor behind the genre's progress. We're proud to rep D&B at ADE – as part of the wider dance music family, and as a great cultural form in its own right. And we're happy that Drum&BassArena are joining us at ADE to share some of the benefits of their wisdom and passion. Whatever your tastes, you'll find valuable lessons, and the infectious enthusiasm from some of the most committed people in the business is bound to get you fired up about the possibilities for underground sound. Tickets for ADE Beats in the Melkweg (€33,-) are available here. The event is also accessible for ADE Pass & ADE Conference Pass holders. The various passes are available here.